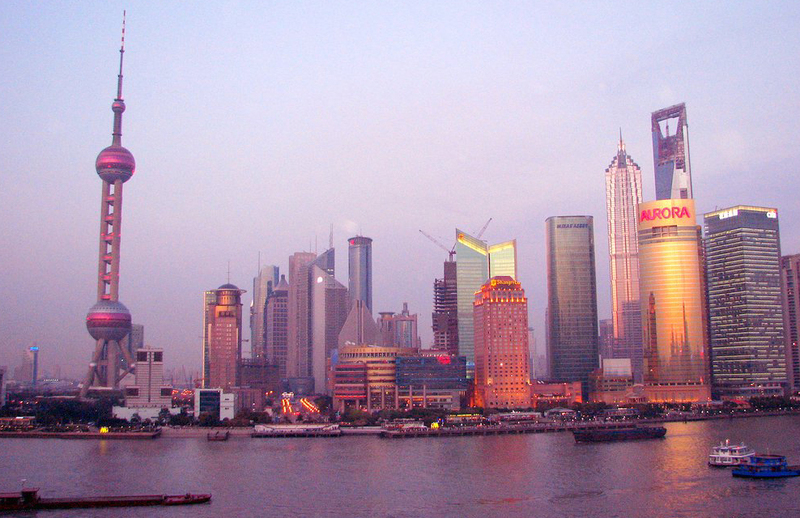 China started 2010 positively, announcing 11.9% growth for the first quarter of the year. This was accompanied by both sighs of relief that China can continue to act as one of the primary engines of the global economy but also by cries of alarm that the Chinese economy was in danger of overheating which might in turn lead to rampant inflation and imminent disaster. The overexcitement from both camps is probably overstated simply because the figure of 11.9% was merely a year on year figure that relates to the first quarter of 2009 which saw the lowest GDP growth rate in three years in China. Yes, China was accelerating but only compared to a low base of reference. As for the inflation threat, inflation actually reduced circa 2.7 to 2.4%. So far so good. Rising prices appear to be under control which belies the rampant inflation story and low prices have been aided by over-production which is keeping prices firm. There is also a regional story here and that is in certain regions there are, perhaps surprisingly, workforce shortages which is stoking fears of rising wages, prices and inflation. There are exceptions but averaging the data out it looks like the country is running a middle course. So, is the Chinese economy overheating or not? It depends who you ask. The Chinese themselves would be the first to realise that the economy is overheating and they would have two important levers at their disposal to cool the economy down which they have so far not used. They could either revalue their currency (to the delight of the US) or raise interest rates both of which would have a tightening effect. They are biding their time on both fronts at present, so the Chinese do not feel that the situation is out of control as some are suggesting. If they do plan to make any adjustments, the Chinese would no doubt survey the world economy before making any hasty moves, The US economy appears slightly more stable but the European market is still giving off alarming signals. This may not be the moment for concerted action. The fact that Chinese growth is 80-85% generated by domestic investment and consumption means that they are not at the mercy of global seismic shifts but this is hardly the moment for complacency. However, the extent to which China is insulated and decoupled from global markets is still an unknown. They have however ridden this current global recession with surprising ease. Despite the apparent calm, are there any potential flashpoints lurking under the surface? Bank loans could be potential trouble, coupled with what is sometimes described as the country’s fragile banking system. 10,000 billion Yuan of new loans were granted in 2009, twice the level of 2008. The target for this year has been set at 7,500 billion but the banks have already granted 2,600 billion in the first quarter of this year. With these lower loan targets and recently raised bank reserve requirements it look as though the problem is under control or at least under close scrutiny. If there is no obvious overheating then no drastic action appears to be warranted yet but there may be some mopping up to do after the State Council’s $586 billion stimulus programme that began back in November 2008. Tidying up should not be mistaken for general alarm. The truism is that China is the world’s workshop and that its economy depends exclusively on its massive exports. That said, despite the fact that the overall volume of imports and exports in the first quarter did increase by more than 40% over the same period last year, China, in March 2010 saw a trade deficit of 7.2 billion dollars. This was due to the drastic increase in domestic demand which led to the massive increase in imports. The Chinese economic landscape is changing and there are those that now say that China is no longer the workshop but the assembler of imported goods that are sold on as finished products. Internal demand is booming and the export led growth may be changing its spots. Despite the changes, the Chinese are sticking to their forecast of 8% growth for 2010 despite already overshooting it on a quarterly basis. They are still cautious about the global economy, perhaps expecting some ugly surprises later in the year from a still leaky US economy and the at times terrifying news from the European economy. The economy as a whole may not be overheating but potential trouble has reared its head though in the shape of real estate prices and the possibility of a bubble being created in this sector is perhaps the real Achilles heel in the Chinese economy. However, ascertaining the real nature of the problem is difficult as reliable data is not forthcoming. Informal figures report that some inner city real estate prices may have gone up by at least 70%, at least, but official figures tend to be around 11%. Some eminent investors like Jim Chanos and George Soros are openly calling the real estate sector in China a bubble but the question is can the real estate bubble be isolated so that it does not send the rest of the economy into a death spiral? The Chinese government is clearly worried about the possibility of a real estate bubble as it has recently implemented a property tax trial in four major cities in an attempt to cool the market. Beijing, Chongqing, and Shenzhen and Shanghai at a later date. The new legislation has already hit property related stocks and many analysts feel that it is inevitable that the property market will be hit hard in the “anti-bubble” drive. There are also moves being taken against developers who are artificially managing supply and demand in the market. The central bank has also raised mortgage rates, increased the level of down payments for home loans and obliged banks to restrict loans for buyers of three or more homes. Clearly the level of reaction being taken reveals the level of worry. Real estate is the sector to watch.